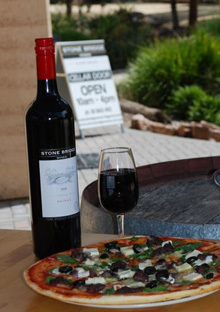 Come and try our famous wood oven pizza between September and May,on weekends and public holidays 1100 am - 4.00 pm(subject to weather!). 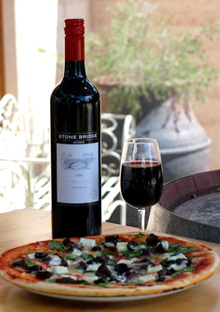 served with continental bread, Clare Vally olive oil & marinated olives. Cheese, Matthie's double smoked ham, pineapple. Dark chocolate, fresh mulberries, rasberries, blackberries, blueberries. Hazelnut milk chocolate base, white chocolate, fresh strawberries.